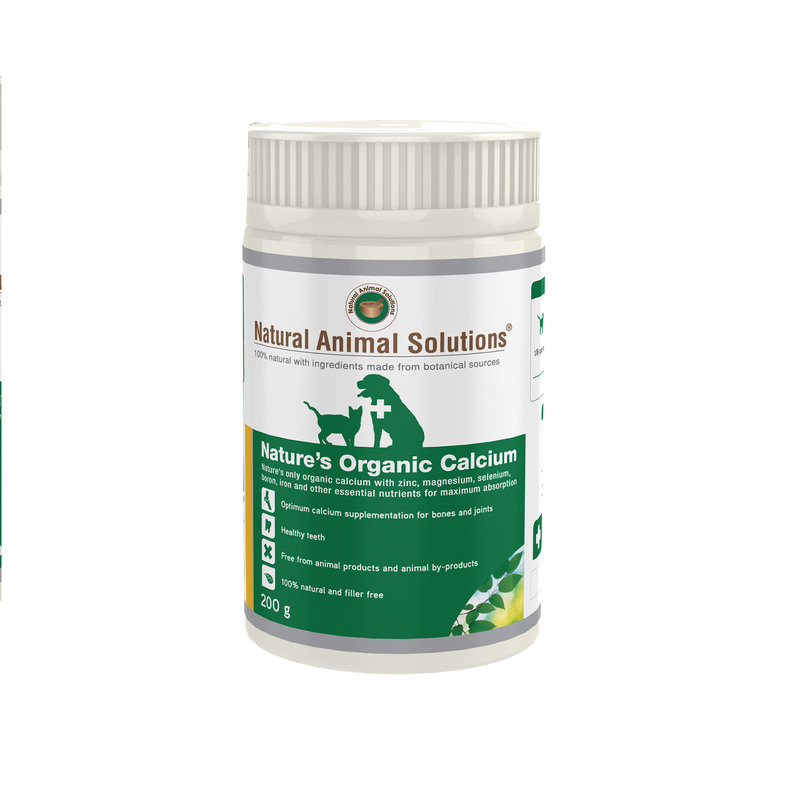 Natural Animal Solutions Nature’s Organic Calcium is the only organic calcium that contains naturally available zinc, magnesium, selenium, boron iron and other essential nutrients for maximum absorption for strong healthy bones and teeth. Nature’s Organic Calcium contains bio available nutrients for easy absorption. The low dosage of this supplement makes it easy to serve small animals or fussy eaters. Nature’s Organic Calcium has been carefully chosen due to its high absorption rates. Many calcium supplements contain forms of calcium with low absorption rates. Comparable products require up to 4 times the dosage of Natural Animal Solutions Nature’s Organic Calcium. Nature's Calcium is approximately 30% pure calcium and is highly absorbable because of its unique porous structure. This organic calcium has been working really well for my mate Popeye. It boosts overall bone health by providing the necessary nutrients. I’m highly satisfied with this product. I am regular user of this product but you guys are cheapest and also I loved you website as you just provided faster and free delivery.. i have already subscribed and keep updating for more discounts. This product has other minerals that allow the calcium to be absorbed properly. Just calcium does not suffice. Excellent product. I was looking for something that can help my pooch's mobility problem in the long run. and BINGO! I got this organic calcium supplement and works perfectly on my pooch. Now, my pal is having less issue and hope he will not have this issue. Was looking for something natural and came across this product. A perfect selection for calcium supplement to my dog paul.